Fayman’s Rolly is a weird, but welcome, addition to the pantheon of literary PIs. 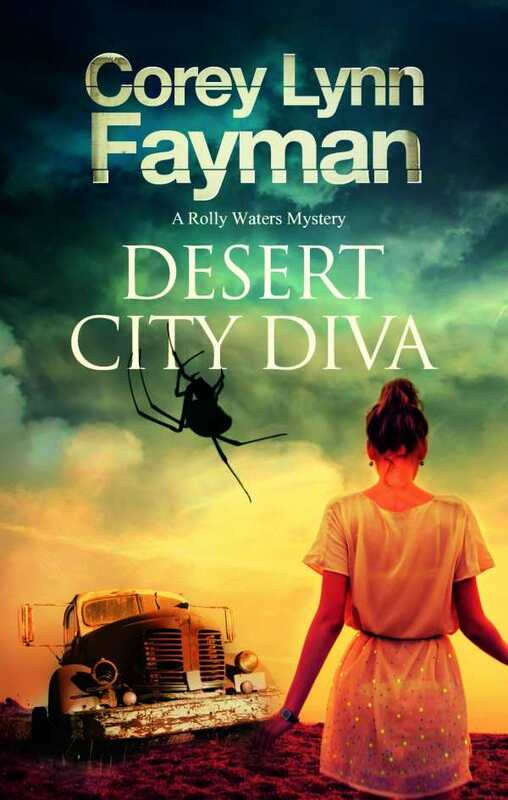 Desert City Diva by Corey Lynn Fayman is the third wonderfully weird entry in the Rolly Waters saga, a fresh take on the classic detective story with an out-of-this-world mystery. Wheeled into an emergency room, Roland “Rolly” Waters, a private investigator by day and a musician by night, drifts in and out of consciousness, plagued by visions of gold and alien cults. His recent case involves a golden-eyed DJ, a diddley bow, and a cult in the deserts of Southern California. Macy Starr, a vivacious club DJ twenty years younger than Rolly, hires him to find her Aunt Betty. The only clue is a photo emblazoned on the back of a one-string guitar. From the Universal Vibration Technologists cult to the peaceful hippie commune known as Slab City, the two chase the hazy trail Aunt Betty left behind. As Rolly and Macy dig deeper into the mystery surrounding Aunt Betty, they become embroiled in a mass murder linking the cult and Slab City. Desert City Diva is a delightfully strange spin on the noir genre. The standard noir conventions—down-on-his-luck detective, femme fatale, mysterious killers in the dark, and a twisting plot—are all here. However, the tropes are tweaked masterfully. Rolly Waters is a part-time PI, and it shows. His investigation finds him reconnecting with old friends and bitter enemies, all related to music and his daytime career. Character development and characterization are strong, especially for Macy Starr. Raised on a reservation by her adopted father, she finds herself trapped between two worlds and finding no place in either. She flees the reservation and becomes embroiled in the underground music scene. The desire to find Aunt Betty hides a more sympathetic goal: Macy needs a family. Another strong character is the mysterious Buddy Meeks, an eccentric inventor and chemist gone missing. Buddy plays a pivotal role in both the disappearance of Aunt Betty and the strange happenings in the desert. The dialogue is the real attraction. It is sparse but ricochets with witty abandon. This bare-bones style evokes the natural desolateness of the desert backdrop beautifully, allowing the story to thunder on to a shocking conclusion. While this book is the third in the series, it is accessible to new readers. Desert City Diva features colorful characters, snappy dialogue, and a plot that never lets the attention drift. Fayman’s Rolly is a weird, but welcome, addition to the pantheon of literary PIs.